Once upon a time or your perfect bike (especially for the Gentle Ladies)? My dad was an inveterate collector of books. We have been sorting some of them and found a couple of items that should(?) help us all with our cycling. One is ‘The “Contour” Road Book of Scotland’ dated 1907-8, which seems to cover all the main routes in Scotland at the time, all 497 of them. It also has 500 maps and plans, with many of these being gradient profiles. It is amazing to think of the journeys undertaken by bike at that time, and the effort put in to collating this guide. But this is just a teaser. I’ll write a bit more about this at a later date. Right now, it’s an earlier document from 1902 from which I’m going to outline some items. In these days of charging bike lights by USB, multiple gears, suspension etc. 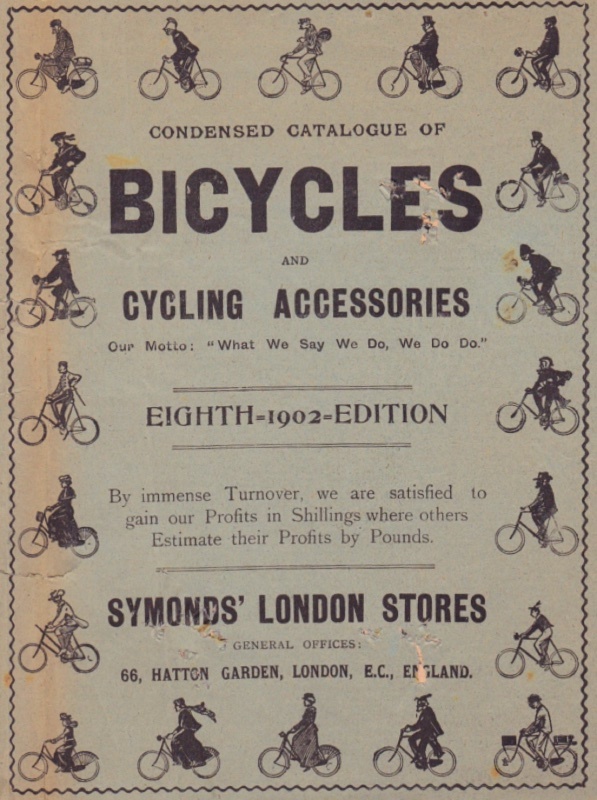 it is fascinating to look through a catalogue for bikes of the time. I can maybe imagine riding in a Royal Aquarium maybe, but wonder how Bradley Wiggins would have done on this bike? If you cannot read the endorsement from (Miss) Monie Hardwood let me know & I’ll add a transcription. 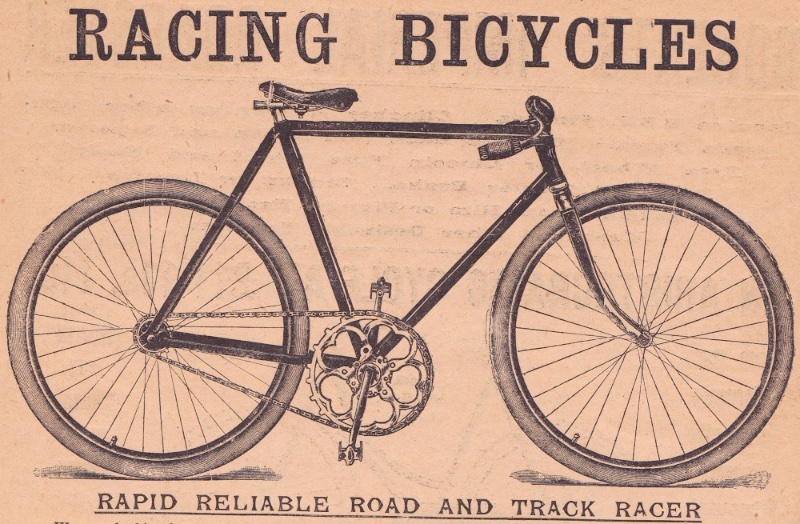 This entry was posted in antique bikes, bicycle, Bradley Wiggins, cycle, Fossil cyclist, hour record, lady, old, Scotland and tagged 1902, 1907, 1908, antique, Catalogue, Contour book, cycle, fossil cyclist, gradient profiles, hour record, racing bicycles, Scotland on June 20, 2015 by fossilcyclist.